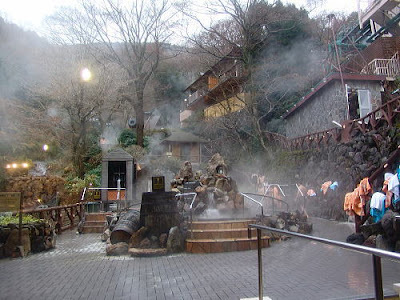 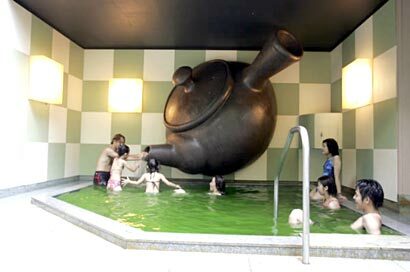 Located in Kowakien Yunessun, the biggest, most popular spa center in Japan, the outdoor has opened its gates once again. 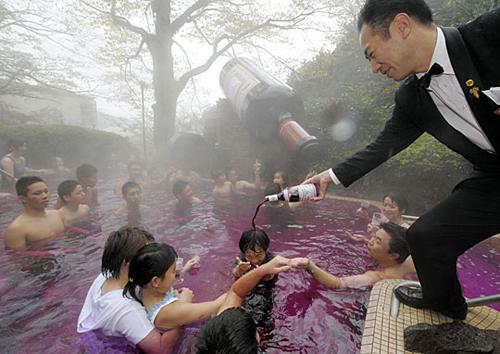 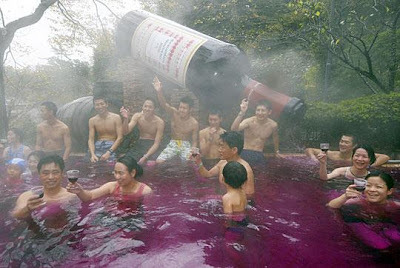 Hundreds of gallons of Beaujolais Nouveau, the most popular wine in Japan, are used during the 12 day period the wine spa welcomes its guests. 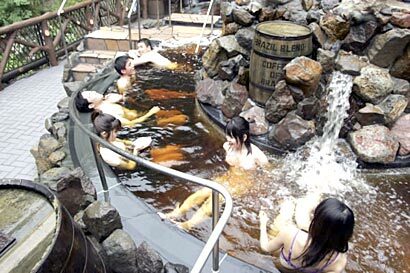 Four the last four years, Japanese wine lovers have had the opportunity to drink and bathe in the liquor they love so much, at the Hakone Kowakien Yunessun. The red pool is constantly fed wine through the wine-bottle-shaped spring, while a sommelier stands by to fill up the glasses of those craving some more Beaujolais Nouveau. Apart from a wine pool, the spa center also features a green tea spa and coffee spa, where clients can bathe in the drinks mentioned. 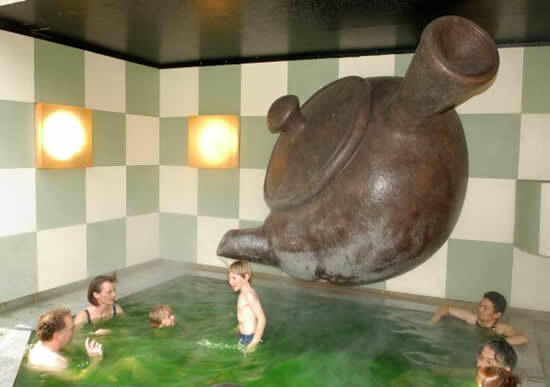 How to identify a Gay ?